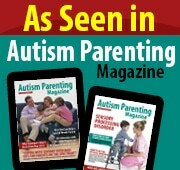 My four year old son has autism spectrum disorder. Although he is relatively healthy, he is terribly picky when it comes to food choices. Basically, he will only eat about 4 items mostly milk and carbs and has never even gone near vegetables or fruits. Our pediatrician has suggested vitamin supplements, which my son hates. Can you recommend any creative ideas to get him to eat? I am so tired of having mealtime be a battle! -Claire F. West Hollywood, CA. Children on the spectrum often are lousy eaters, due in part, to sensory processing disturbances and motor planning disorganization. The trick to getting fussy eaters to overcome their hesitation to try new foods is to not get into a battle. Rather, I suggest creating a relationship between your child and the experience of eating. Specifically, spring time is a great time to start planning a garden. When I am working with a fussy eater, initially I don’t even mention the food concerns. I start off by finding out if the child would like to help me make a garden. We then go shopping together to pick out seed. Once back in the office, we plant the garden. Cherry tomatoes, for example, are easy to grow and very fast to sprout. We next spend time tending the garden, talking about how we might cook and/or prepare the vegetable once we harvest them. Once the produce is ready to be picked, we then send out invitations to family and friends (either in written form, by e-mail, text or drawings-depending on level of capability), inviting all to come cook with us and share in the experience. The preparations now become a social group activity, with themes devoted to setting the table, considering the likes and dislikes of others regarding food, etc. By the time your child is sitting down to eat the vegetable, he has been handling the otherwise noxious material for weeks, typically becoming desensitized to his original aversion. While this might seem like a longer than normal process, what is actually happening is the creation of new neuronal pathways that are helping your child create new coping strategies not only to foods that he would otherwise avoid, but also other sensory sensitive activities that up to now might have been thought of as too hard to tackle. Bon appetite! Esther B. Hess, Ph.D.